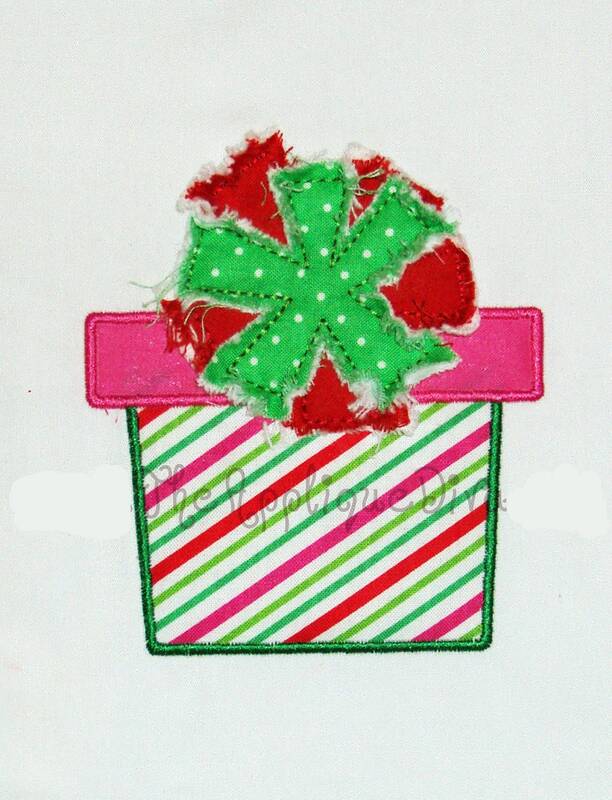 Christmas Present with Raggy Bow Embroidery Design Machine Applique. With your purchase you will receive the applique in 3 sizes: 4X4, 5X7, and 6X10 hoops. This design includes instructions on how to do the raggy designs.